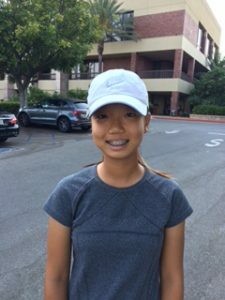 Brooke Li, a 2019 graduate, shot 72-76 (148) to finish in 4th place at the Bridgestone Summer Championship played at the Golf Club at Rancho California. Brooke opened with par’s on 1 thru 4 and then birdied number 5 to go -1. He ran into a rough stretch as he went bogey par bogey par bogey on 6 thru 10. Brooke made a strong finish by going -2 under par on 11-18, to post an even par 72. Brooke struggled a little as he opened the 2nd round by going +3 through 10 hole’s before making a birdie on 11. Bogies on 12 and 14 put him at +4 for his round as he pared out on 15 thru 18 for a 76 and 4th place in the 2 day event. Michelle Chang, a 2021 graduate, finished in 3rd place in the Girls 12-14 Division. 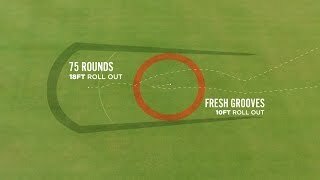 Michelle shot 77-76 (153). She made her only bogey of the round on number 2 and then made 6 bogies and 10 par’s on the final 16 holes, for a 77. Michelle, started her final round with 3 par’s before making 2 bogies on 4 and 5 and then she made a string of 4 par’s on 6 thru 9. She ran into the bogey train on 10 thru 14 with a par on 12. Michelle then, finished strong with birdies on 17 and 18 to post 76 and grab 3rd place. Irene Park, a 2022 graduate, shot 84-85 (169) to finish in 8th place in the Girls 12-14 Division. Congratulation’s to Michelle, Brooke and Irene!